How good is your internet’s packet loss and jitter? I checked the graph and all is stable and perfect, my ISP is 10 years in a row best ISP of the Netherlands, have one of the best modems and router and I only use Cat6 cable and all is wired. Having a ping under 10 is just no good with BF1, other games I have no problem at all. 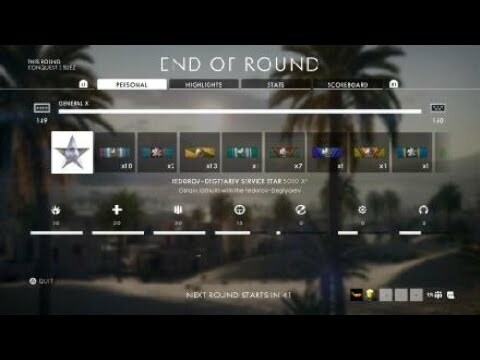 The calculation RevOverDrive did was clear, I have a disadavantage in BF1 because I have "the best" internet available. The closer your ping is to the average of the server, the better experience you have. The netcode (according to RevOverDrive) is designed for pings under 100. BTW, not going to answer to anything WetFishDB says, I don't like words like fool, uneducated and so on. And yet one of the best players I know has a ping of around 10 - @The_BERG_366. Honestly dude, don’t know how you cope with having such a low ping disadvantage lol. Ps, there is still a ping limit (for client side hit detection) - it’s just higher than it was. God, if you could get just one thing right in this thread you’re derailing it’d be nice. Aus? I haven't checked that gigantic thread,but aren't aus servers completely broken? Essentially the lag compensation calculates 2 clients positions and projects them on to each others screen. The server receives client A's packet, receives client B's packet then does the calculations before outputting the results onto the clients screens. So say client A has a low lag of 20ms, if client B is within a negligible range of client A, around 50ms, so client B has a lag of 70ms. Here the game will play fine. However, client A does not know the lag of the player he is shooting at so when client A shoots at a high ping player the game does not play out as he expects. His hit markers cannot appear on client B until the server has received client B's packet data. So if client B has 150ms lag client A must wait 130ms plus the time it takes to complete the lag compensation calculations which I believe is about 10ms. So on client A screen he sees the player, he fires way before the other player does, gets hit markers before the other player even starts firing and expects to blow him away. Client B however does not get the same images, on his screen he sees client A, client A fires first so Client B reacts as if client A has got the drop on him. Client A thinks he has blown away Client B already so he does not react accordingly, this is why client A loses, he hasn't got the drop, he just thinks he has. I'm not sure if you guys do this but it's something I've always done in FPS games, I fire at someone then realise the trigger 1 or 2 bullets before I've killed them, I react like I've killed them and they blow me away with 1-10hp left. It drives me crazy but I can't stop doing it. This is a similar to the high lag player, the game does not do what you expect and you die as a result. This I why you always want your lag within 50ms of the other players. The values don't matter, you just need to be as close to the average as possible for the game to play out properly. I always play the game on 60hz servers unless I'm unlocking a weapon. Recently I decided to unlock the Burton which is impossible in TDM. It took me quite a while to realise what a defense point capture kill was so I ended up playing a couple of hours of operations. The deference between 30hz and 60hz is striking. Much more noticeable than the difference between 60hz and say 144hz. The game at 30hz by comparison to 60hz is a complete mess, the movement is not clear in CQB the game just becomes astonishingly inaccurate to someone who always plays on 60hz servers. Outside CQB the lag has less effect. This is why I believe some players are unable to see what is gong on. Also with regards to the fool, uneducated comments it's just something people with low IQ do. He does this to me to, disagree with him and the insults flow. It's a form of trolling and the only way to deal with it is ignore it (or better still don't read it). Just wrong. Ignore me all you like, it doesn’t make you right. Scenario 1: Client A with 20ms ping sees player B with 150ms ping and instantly shoots them with a OHK weapon. Server gets the shot data from client A after 10ms (half the ping), confirms the kill, and then sends back confirmation to Client A (another 10ms) and the death on to client B. Client A sees the kill after 20ms (plus processing time/ticks etc). They don’t need to wait for client B to receive the kill - which they will do after 85ms (10ms + 75ms + processing time etc). It’s true that Client A and B see different things any given moment. But let’s take a scenario 2: where in real time they both see each other and both shoot a OHK weapon. Client A will send the information quicker, register the kill, and Client B’s kill will either be considered a kill trade or ignored. This whole scenario where they Client A thinks they get the drop but don’t - pure fiction. Utter nonsense. Because it’s based on the WRONG assumption that the hits from Client A needs to wait to be received by client B. They don’t. The server confirms the kill, not client B. Playing on 60Hz will definitely give a better experience though. That said, I only play Conquest really which is 30Hz, and sure you get the occasional wobble - but it rarely changes the outcome of an engagement. The thing about you stop firing when you think you got the kill too early happens to us all - but it’s missed shots not the lag gods that causes that. Having a low ping is not a disadvantage dude - no matter how much you wish to use it as an excuse. Edit: Sean, When someone ignores overwhelming evidence because it contradicts their emotional and narrow minded perceptions - that does make them ignorant. That’s not trolling or a reflection on someone’s IQ dude, it’s an adjective to describe people who don’t want to understand things properly and instead rely on their excuses. Ignorance is bliss eh? 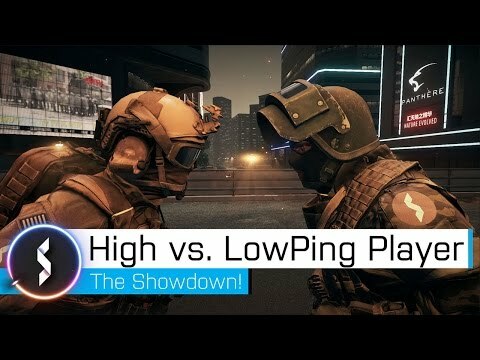 Here’s a video where they actually show peekers advantage and lag compensation (in BF4) from both perspectives and with different pings. If literally shows EXACTLY what I’ve described - in that peekers advantage applies to the peeker (regardless of whether they are the high or low pinger). Hey I just wanted to say that I love Battlenonsense he has excellent and informative videos. I have experienced bad games exactly as described in the posted video and it just gets frustrating getting killed behind cover after trying to disengage from a fight and heal up. It was a huge issue on BF4 PS3 with most out of region players being from Brazil and playing on NA West servers, now that I play on PS4 it's mostly Japanese players at night. The lag is so bad sometimes that I shoot my frag rounds behind them to hit their "ghost", if I don't leave the server by then and continue banging my head against OOR laggy players. Nah, well not for me anyway. Think people are just complaining about something that happened ages ago. To everyone else complaining about lag or whatever else, there’s 32 people on the opposite team in conquest, if you can’t get a few kills without getting killed by everyone on the other team you should stop playing the game like it’s cod, PTFO and git guuuuud. Getting shot around corners is one of the most frustrating things in the game. I hate it. I rage like everyone else when it happens, with claims of it being BS. But most of the time I’m forgetting the times when I’ve shot players before they get into cover (on my screen), when I know full well on their screen they were probably safe and were then raging every bit as much as I was. Being hit around corners affects both high and low ping players alike. It’s occurs when there is a high ping differential between the two players (where at least one of the two has a high ping). Obviously the more players with low pings the better and this will occur less frequently. Look I played BF1 for >70 days (doesn't mean I am proud of it) and > 99.9% of the time I had no problem whatsoever with the netcode or lag compensation or whatever you name it. I have usually below or around 20 ping and always play in EU servers. The only times I had some wonky stuff is when I played on US or OOR servers without realising it (and it wasn't so bad) or when my line or router had some problems. That doesn't mean that in some particular cases hit reg and netcode may become bad, and that in some regions servers don't function properly all the time. But in most of the cases as Wetfish said the problem is between the screen and the chair. And it seems to me a lot of players tend to blame the game unfairly, when they should be really blaming themselves or their hardware. Mine were; packet loss none, latency 32.7 and jitter 7ms and I still have a horrible time on most servers. Legitimately "shooting around corners" became part of my playstyle in BF4 with that ridiculous weapon and kit m1014 + frags lol. I do agree that it is pretty frustrating for either party and the other guy did have a legitimate point somewhere along the line, ping limits on privately hosted servers with active admins to kick or ping filter like the good old days. The implementation in BF1 was not complete and needed to be introduced with true community servers. With community ran servers, then the OOR problem would be eliminated. I do understand why some people play OOR, there aren't any servers available in their region. No party should have to suffer through a bad game experience just because EA is too cheap to add more hosted regions, they should let us do it too. Agree. More server locations, assuming they get populated, means they can be ever stricter on the ping limit before client side hit detection isn’t used. It’s already stricter than it was in BF4, so hopefully we are on an ever improving experience. Yes, 'this' again - because here you are, once again, spouting absolute nonsense and de-railing a thread trying to excuse your poor performances on having a good ping. You literally have NO idea how lag compensation works, like at all. Not one bit. Otherwise you wouldn't come up with comments about the 'good ol days before lag compensation' when it's ALWAYS been in this game and pretty much EVERY SINGLE online FPS before it. I have NO idea, but some one that makes games does, and he says it is the way I just wrote it down and I can tell you it totally matches my experience. But it doesn't surprise me you don't agree with some one that makes games for a living ..
It’s you not understanding what you’ve read. The peekers advantage applies both ways. He literally describes the advantage from the low ping players perspective! Give me a direct quote where he said it’s terrible for players with low ping like you claim? Or how about the exact scenario that makes it bad for players with low ping and good for high ping? Lol, all this video shows is how easy it is for mediocre players to form a medic train and stat pad with pay to play weapons. If you want to understand how the lag works you need to get in the thick of the action not camp at the edge of it using the easiest class to avoid CQB. This is hardly a massively OP weapon (as you insinuate with the "pay to play"). Being in Australia I know very well about lag and to be honest lag is more apparent in longer ranges than CQB. WIth our poor servers and general lack of good internet we would know! Lmao. Says the guy who spends full rounds at the edge of map passively sniping clueless players. I think we should play TDM sometimes with Wetfish as well to show you what mediocre players like us are really worth, and without using "pay to play weapons" or medic trains. But you will duck as always, as it is much easier to spout some nonsense on forums by trying to belittle much better players than you. Ok thread is cleaned up. Keep it on topic, Keep it civil, Or there will be penalties. Cheers for that, not all hero’s wear capes. Jealousy much, Mr Dodge Duck Dive and Dodge. A medic train... of 2? Wow, you got a thing against even 2 friends playing together now? Some of us have friends to play with bud, you might want to get over it - perhaps get some friends of your own. Stat pad? How exactly? I’m simply capturing and defending flags, killing many more of the enemy than anyone else in that game, and trying to ACTIVELY help my win. And I’m doing so without relying on passively hiding in a corner somewhere trying to sweetspot someone using the peekers advantage or playing OOR like some admit. And it’s a Federov. Same damage model as the other Federovs. It’s not pay to play/win. But hey, you gotta come up with some excuse for why I did well, eh? Perhaps take your jelousy somewhere else and keep this thread on tract.